BU’s big data degree program ranked ninth in U.S.
Boston University ranked ninth on College Choice’s list of 50 Best Big Data Degrees for 2017, according to a press release from the online publication. The release highlighted the Metropolitan College’s Master’s Degree program in Computer Information Systems concentration in Data Analytics, which focuses on data mining, analysis and visualization. The ranking is based on two major factors: academic quality and return on investment, College Choice Managing Editor Christian Amonson said in an email. These factors take into account BU and the computer science program’s reputations along with the expected early career salary for graduates weighed against the program’s tuition, Amonson said. Metropolitan College Dean Stoyanka Zlateva said the program’s faculty employs inventive learning strategies and resources for its students. The program also provides online students with easy access to their expert instructors, who each work with 15 students as section instructors, Zlateva said. Zlateva said the program is continuously improving to ready students for their post-college careers. “We want to use the latest tools in the industry, the latest systems and the latest approaches so that when our graduates go into the marketplace, they hit the ground running,” she said. The program aims to train students for future employment in a crucial sector, the Metropolitan College’s Chair of Computer Science Anatoly Temkin said. Tempkin said BU faculty members are excited to see BU’s innovative programs reflected in the high ranking. Zlateva highlighted the prestige associated with ranking so high on this list. 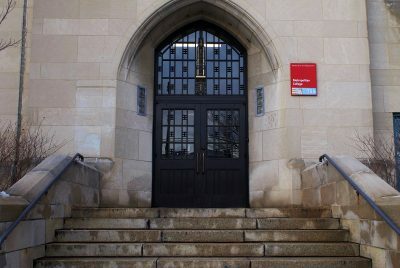 Several computer science students said the ranking speaks to the intellectually stimulating atmosphere within the program at BU. Frederick Vargus, a junior in the College of Arts and Sciences, said as a computer science student, he is impressed with the department’s development. Ajjen Joshi, a fifth-year Ph.D. student studying computer science said his experiences thus far as a graduate student have been valuable. Keyan Vakil, a junior in CAS, said he has benefitted from the university’s engaging program.